2017 marked the opening of the newest Spring Training ballpark, the Ballpark of the Palm Beaches. 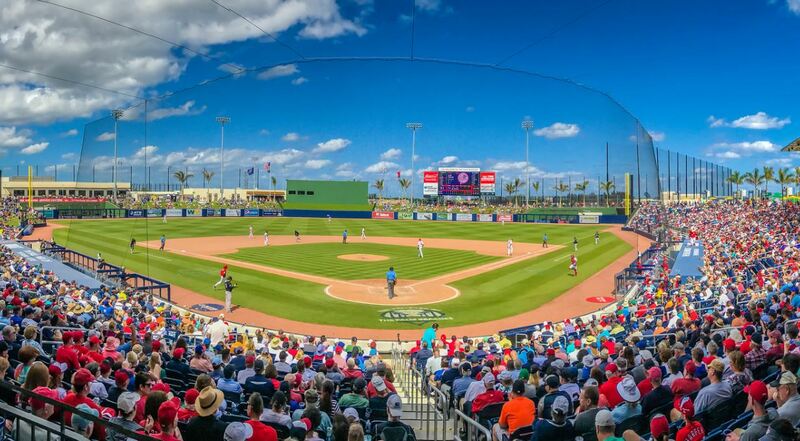 As noted in its name the ballpark is located in Palm Beach and is the new Spring Training home of the Washington Nationals and Houston Astros. The facility is a total fan-friendly Spring Training destination, that not only features the ballpark, but a six-field layout that fans encompass while heading to the ballpark. A 6,500 seat ballpark is the main centerpiece featuring a 360 degree concourse, six luxury suites an outfield berm and two party decks. In 2018 FITTEAM, a fitness beverage company, purchased the naming rights to the facility.